In a perfect world, customers come to your website, credit card in hand, ready to buy all of your products. But if Kanye’s presidency announcement taught us anything, it’s that the world is less than perfect. And with that, less than 5% of customers that arrive on your page ready to make a purchase. That’s where Audience.to and its marketing automation platform comes in. Audience.to lets you create and send personal messages based on user behavior. Being able to send customers personal messages is a product of Audience.to’s smart segmentation. We’re not talking linear segmentation (the kind where you’re breaking users up into two groups), we’re talking granular segmentation (the kind that lets you segment users individually). Once you have them segmented, you’ll be able to show customers relevant content and products based on individual preferences, behavior, and history. 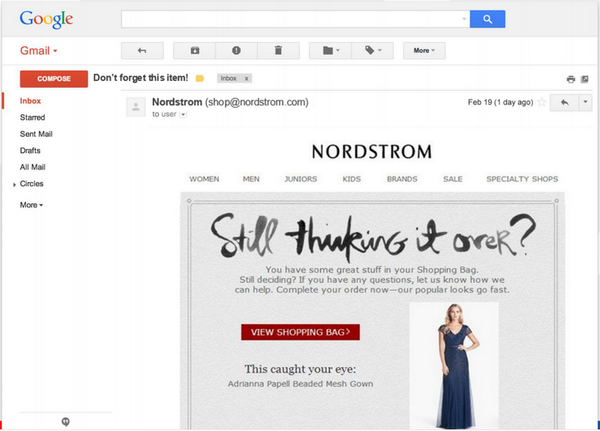 You’ll also be able to trigger a segment via Email, Push Notification, and HTML Displays to retarget your customers. This will help you grow your customer base and increase conversions. 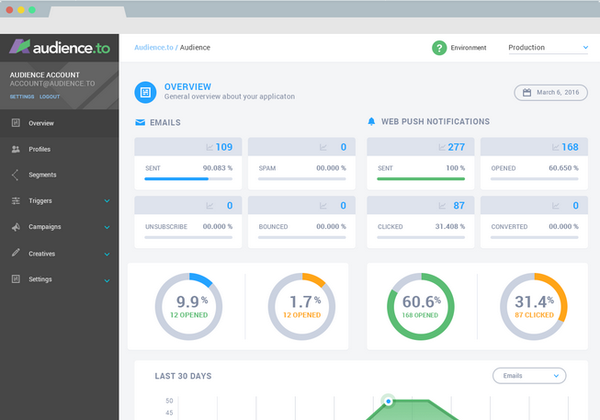 Because Audience.to knows you want to track everything, they’re giving you a dashboard that’ll let you store and view valuable informationsuch as a history of all segments and triggers, as well as open, click, and conversion rates. Is this what the youths are talking about when they say they are “triggered?”Normally, a plan like this would run you about $1,200 per year. And when you look at everything included in this plan, you quickly realize that the asking price is more than fair. However, it’s important to us that you start off October on the right foot. So, starting right now, Sumolings can get lifetime access for just $49! We had to run the math twice because we couldn’t believe it. Click here now to get lifetime access to Audience.to! 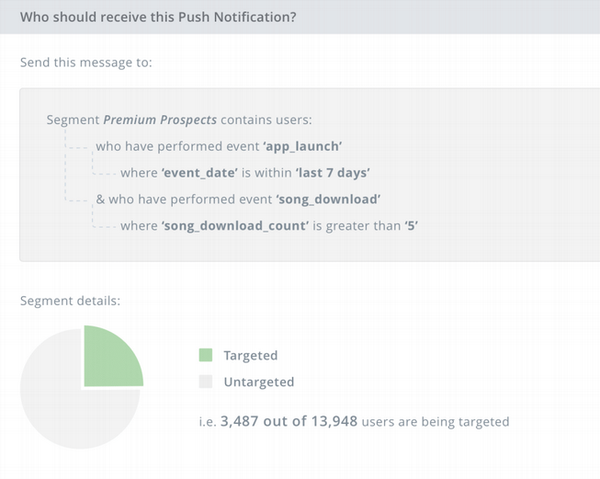 Segment your push notifications for increased conversions.While you are obviously impressed with Audience.to, you may still be wondering why you should use it. And, well, you guessed it, I’m going to tell you about them. First, you can retarget customers who placed products in their cart, but never finished checking out. Audience.to will give you ways to lure them back in to finish the transaction. Next, your user experience and engagement will increase because of the personalized messages you will be sending them. You’ll impact conversions by placing personalized pop-ups or rewards. Lastly, you can gather customer feedback with short surveys or feedback boxes. They won’t be thinking it over anymore after getting this custom email. Audience.to is giving users a place to create, manage, and orchestrate data and experiences. And we’re giving you the best deal to start making it happen. Don’t waste any time. Oh, and since the deal is stackable, buy as many as you need! Start retargeting your customers and increasing conversions today! Grab lifetime access to Audience.to for only $49 now!